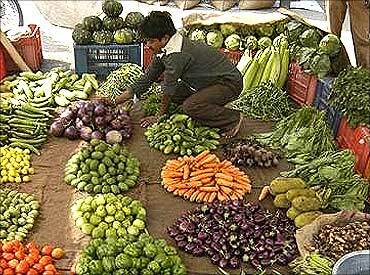 Kaushalendra Kumar, an IIM-A alumnus is currently doing some pioneering work in the field of vegetable retail. He is an alumnus and topper from IIM- Ahmedabad. He is shy especially when talking to a girl. He loves Bihar, the state in which he was born and brought up. He speaks broken English. He was the winner of MTV Youth icon 2008. And he is a vegetable vendor! Meet Kaushalendra Kumar, a young man currently doing some pioneering work in the field of vegetable retail. What inspired you to do something on your own? Did you always want to do this? Since childhood, I have been learning many should-be-done-in-agriculture-sector things. Especially in Bihar. I always found farmers had nobody to look up to, no support from anybody. Being a farmer's son myself, I thought I have been given an opportunity of good education and to be knowledgeable which most farmers' children don't get in this country. So I wanted to do something for our society and for the farmers' kids in particular. Because nobody cares for them. Is your work completely charity or are you also making a livelihood out of this? We are not doing any charity. We are making our livelihood out of this. This is a business opportunity for farmers and for all of us. What's the name of your company? What exactly do you do? My organisation is called KNIDS Green Pvt. Ltd.
We focus on mobilising and organising the informal and fragmented vegetable sector. 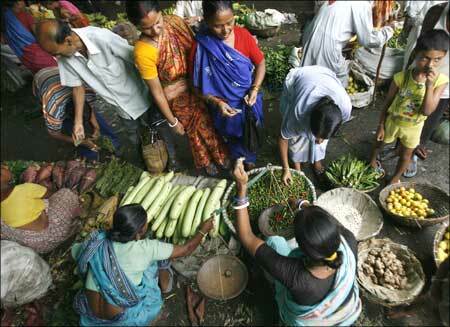 We source poor vegetable growers, vegetable vendors, and farm labourers of Bihar. The goal of the foundation is to create opportunities -- gainful and dignified self-employment -- for the families that are dependent on the agricultural sector. Specially the disadvantaged sections namely farmers, farm labourers, agriculture produce vendors and many others. This is a community that brings rice and dal to your home. And nobody cares for them. We ensure sustainable livelihood, enriched environment, improved quality of life and good human values for them. Can you describe step-bystep the process of your work? 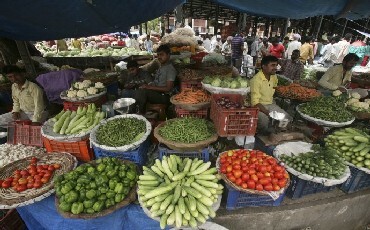 We have been working towards making the street vegetable vendors, your sabziwala and marginal growers more professional. We have formed some attractive partnerships between the farmers and vendors with a focus on shared interests and mutual growth. To maintain product integrity from the source to the customer, the organisation has established a totally integrated supply chain and services bundle which connects and maintains the flow of goods from the source (growers) to customer (road-side vendors, organised retailers, food services and hospitality industry). Key benefits of the model include waste reduction (quantity and time), shelf-life extension and cost reduction of agri-produce from hinterlands and upcountry sources to the markets. We have public and private partnerships with Agriculture Technology Management Agency (ATMA), Patna. We have been assisted financially through soft loan by Friends of Women World Banking (FWWB) Ahmedabad. Recently, Punjab National Bank (PNB) has sanctioned Rs. 50 Lakhs to our project. Approximately 1000 farmers are associated with us. We have our procurement network in two districts of Bihar namely Patna and Nalanda. How much of your MBA knowledge do you practically use in your work? MBA knowledge has brought confidence in me. I have been using the concepts learnt at IIM-Ahemdabad in designing training modules, expansion strategies and overall development strategies of the work we are involved in. You know, MBA taught me to take a holistic approach to problems. Marketing has been the biggest bottleneck for Indian farmers. They have never considered it as an integral part of their work. It would be impossible to think of their prosperity unless they have the ability to market their produce. To get first hand experience of vegetable selling and marketing, we decided to learn the menaces of vegetable sales and now lessons learnt are being transferred to farmer members. I used to actually go with my father to the market and sell vegetables on a cart for first hand experience. What was the reaction from parents, friends, and teachers to your vegetable vending endeavour? Did you have to forgo a well-paying job to do this? My family members were shocked to know that I am going to start my own organization and sell vegetables from a cart. And that too in Patna, Bihar! Nevertheless, they did not try to persuade me to go for a job because they are aware of my nature that if I decide something, I will do only that. They have never interfered with my decisions since childhood. They always encouraged independent decision making. 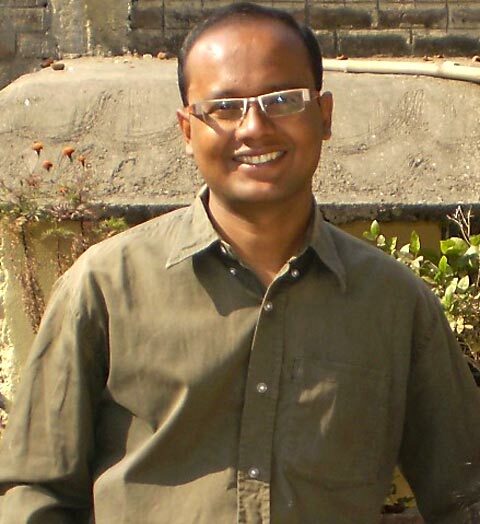 My elder brother Shri Dhirendra Kumar has left his job and is working as programme coordinator in our organisation. Many of my professors from IIM-A are supporting us. Our mentor is Prof. Piyush Kumar Sinha, Chairman, Centre of Retailing, IIM-A. Under his continued guidance we have been able to take this so far. Many of my friends from IIM-A like Om Prakash Singh, Abhishek Kumar, Vaibhav, Vineeta Singh (from IIRM) and many others are continuously supporting us. They always provide their strategic input and sometimes financial support too. Their encouragement helps me move ahead always. Do you have a mission in this direction? What is it? My mission is to make Bihar the vegetable hub of the nation and to develop brand Bihar in the vegetable sector. Did you take any kind of training or special research to get into this kind of work? No, I have not taken any special training. I am born and brought up in a village. 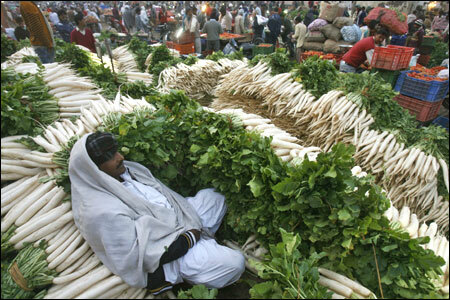 My native district Nalanda is the largest producer of vegetables in Bihar. I have grown up here. I have seen their hardships. And I have seen the government's apathy towards this community. They don't care. Nobody cares. Do you plan to do this all your life? I am committed to the prosperity of Bihar. Most people make fun of the state. But well, they don't know its potential.